Growing up I remember hearing the term, "soccer mom" and often wondered if I'd end up being one. I played soccer for only one season as a kid and my own mom was more of a "track and field mom" given the unfair amazing talent of my younger siblings, two of whom went to college on athletic scholarships. There's one sport that both my kids have been doing a solid 2 years now and I'm realizing my position is finally being solidified: I'm a swim mom. Grayson started as early as he could at age 6 months old exactly 2 years ago this month (remember when I snuck a pic? ), and Nia started then as well. The program at our old local Y boosted Grayson's confidence, but Nia's not so much - she was nervous to put her face in the water and go to the deep end on her own. That started to change this summer when she enrolled in Portsmouth's free swimming program. The teacher really pushed her AND he encouraged her to use goggles. We had an old trusty pair that she loved held over from one of her little buddy's birthday parties when we used to live in Jersey City (she used to call them "gobbles!"). There was definitely a nostalgia factor there, but they ultimately gave up the ghost. One of the things I like about blogging is when a company discovers me and my family and they fit us to a t! 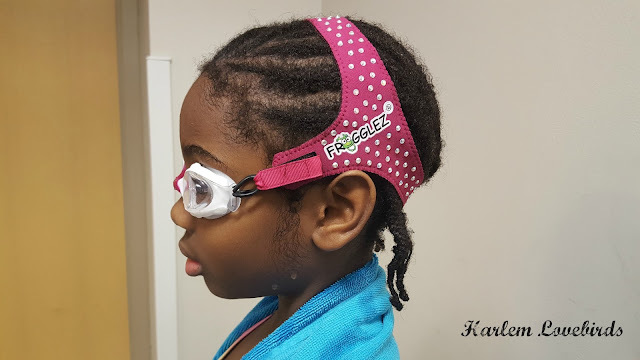 That's Frogglez - super comfortable and stylish goggles for children that's family owned and operated. At our new neighborhood Y's swimming program, Nia's instructor pushes her to excel and she has a little buddy in class who provides friendly competition which has caused Nia to grow so much in the short 3 months that we've been here in Boston so far. Nia's had a rocky transition to her new extended school day, but keeping consistent with swimming has been good for her and the (stylish!) confidence boost she gets from her Frogglez is a bonus. 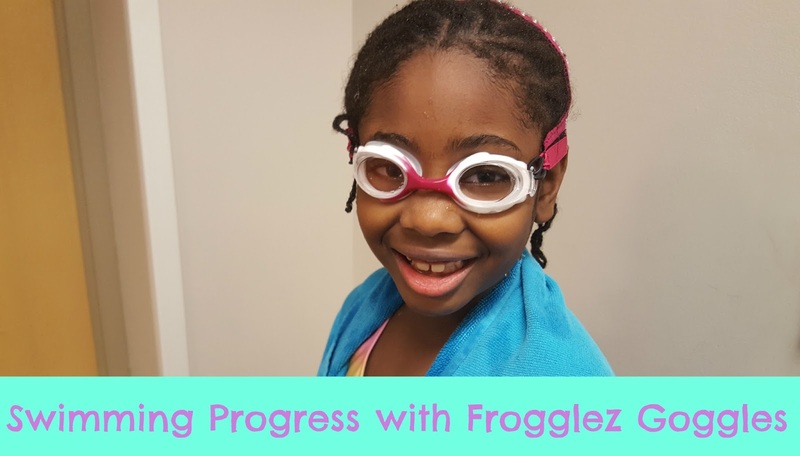 We plan to continue with swimming and I appreciate that Nia's Frogglez will grow with her: there's little removable silicone rings that allow them to adjust for ages 4 to 12. I keep Nia's Frogglez safely stowed in their pink pouch in our family's swim bag, but that doesn't keep her from asking each time, "Mama! Did you remember my goggles?" Frogglez are sold on their website and retail for $19.99 in a variety of colors as well as tinted and untinted lenses. They're the perfect size for stocking stuffers too especially with winter and spring breaks on the horizon! Be sure to sign up for their newsletter for promotions and follow them on Facebook, Twitter, and Instagram for the latest updates. Any other swim moms out there? How do you encourage your kids to be confident in the water?